Sipping your next iced drink from Starbucks will soon be a drastically different experience. That's because the global coffee giant just announced that it's phasing out the use of plastic straws in all of its more than 28,000 locations around the world, and replacing them with specially engineered strawless lids that can be recycled. 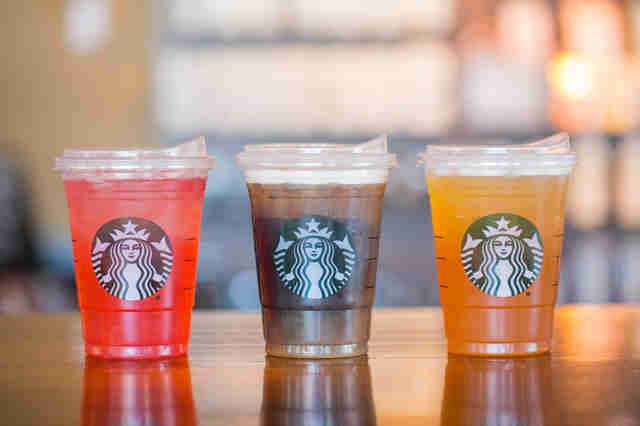 Joining a growing horde of brands, chains, and entire cities that have eliminated or banned plastic straws in an effort to cut down on plastic pollution in the ocean, Starbucks announced on Monday that it will be phasing them out entirely from all locations by 2020. In their place, the company is introducing a recyclable lid -- which it already uses for Draft Nitro and Cold Foam beverages -- for most cold drinks. Straws made from alternative materials like paper and compostable plastic will still be available for Frappuccinos and to anyone who requests one. The move to ditch its signature green plastic sipping instrument will reportedly eliminate more than one billion plastic straws that are used per year. It's obviously not going to solve the issue of giant garbage islands floating in the middle of the oceans, but it should certainly make a dent. The new strawless lids that will be topping most cold drinks are essentially a more sophisticated version of a traditional sippy cup lid. It features a teardrop-shaped opening spout that's roughly the size of a thumbprint, and sits at an elevated angle to prevent spillage. And while they're also plastic, the lids' polypropylene content is such that they're more easily recycled. If you're not emotionally ready to part with plastic straws, don't fret, you still have some time to prepare. The phasing out will begin starting this fall in Seattle and Vancouver, and eventually expand to other markets. 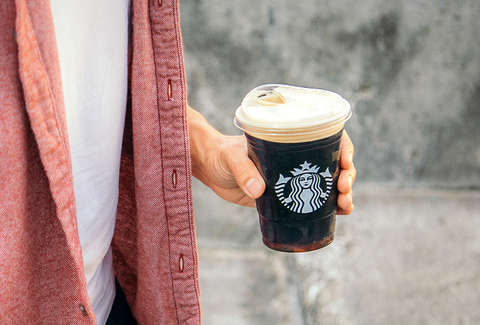 And to soften the blow, Starbucks also announced on Monday that it's permanently adding two new cold beverages to its menu: a Salted Cream Cold Foam Cold Brew (cold brew with a hint of caramel and topped with salted cream Cold Foam) and an Iced Vanilla Bean Coconutmilk Latte (vanilla bean and Coconutmilk shaken with ice with espresso poured on top).